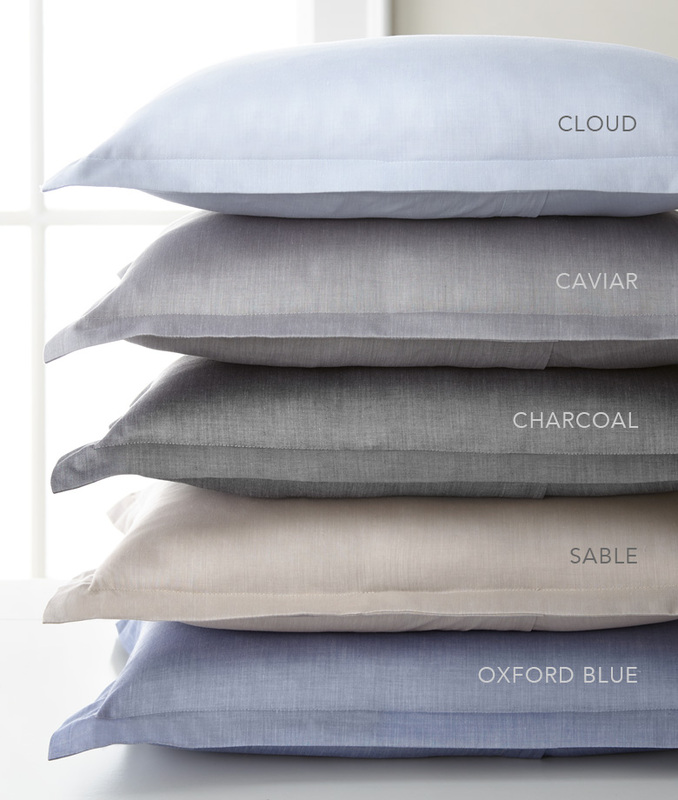 Crisp, cool, comfort...Positano Chambray in Caviar, Charcoal, Cloud, Oxford Blue and Sable. 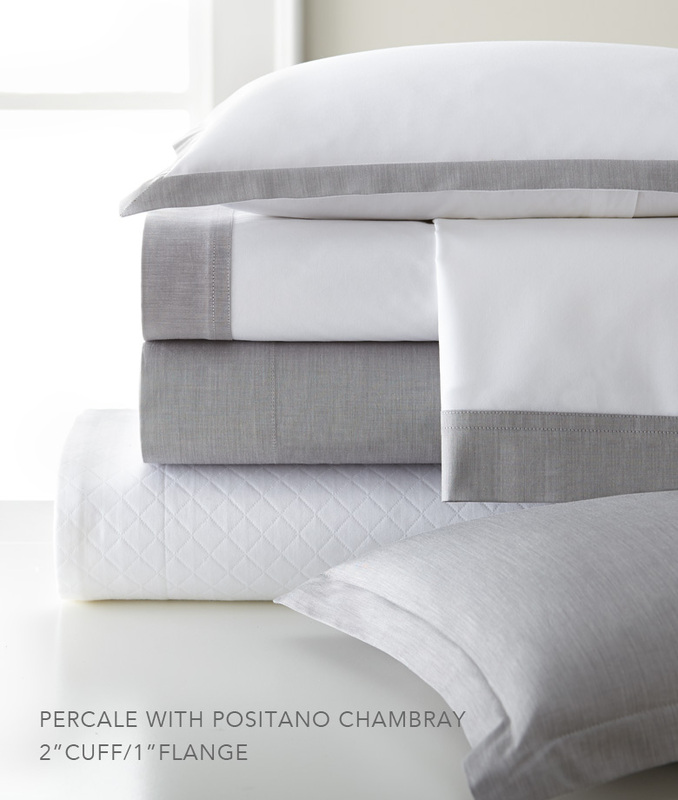 Shown in main photo with Lucerne Matelasse Coverlet. 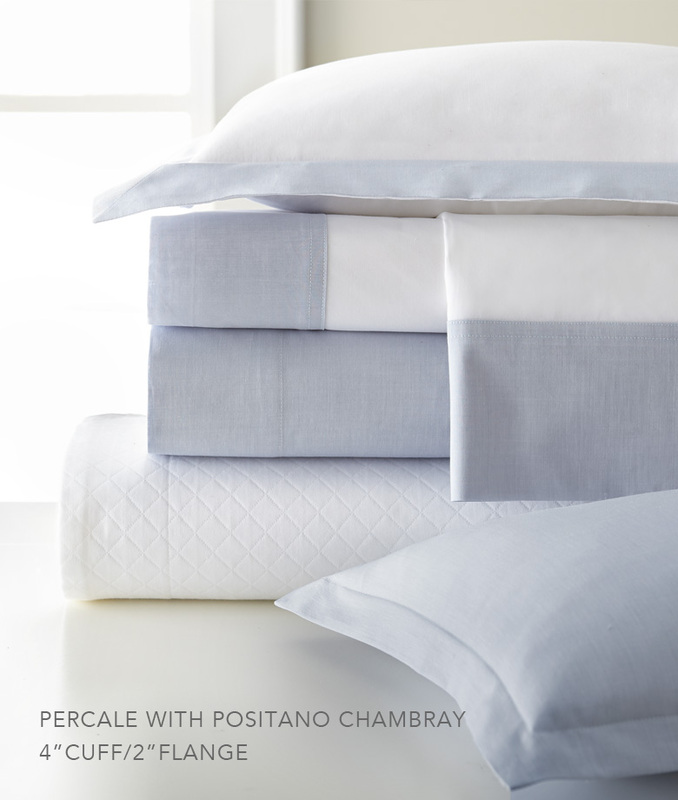 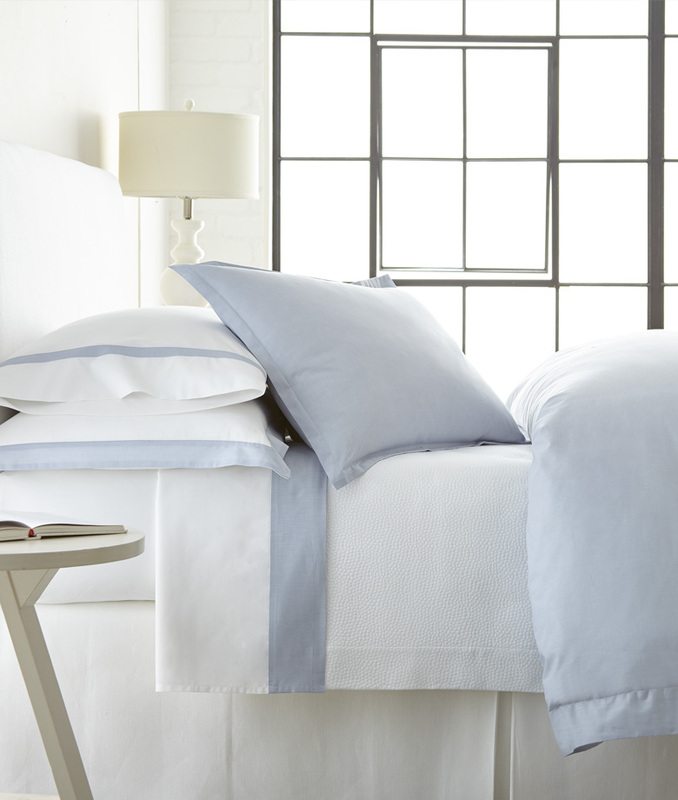 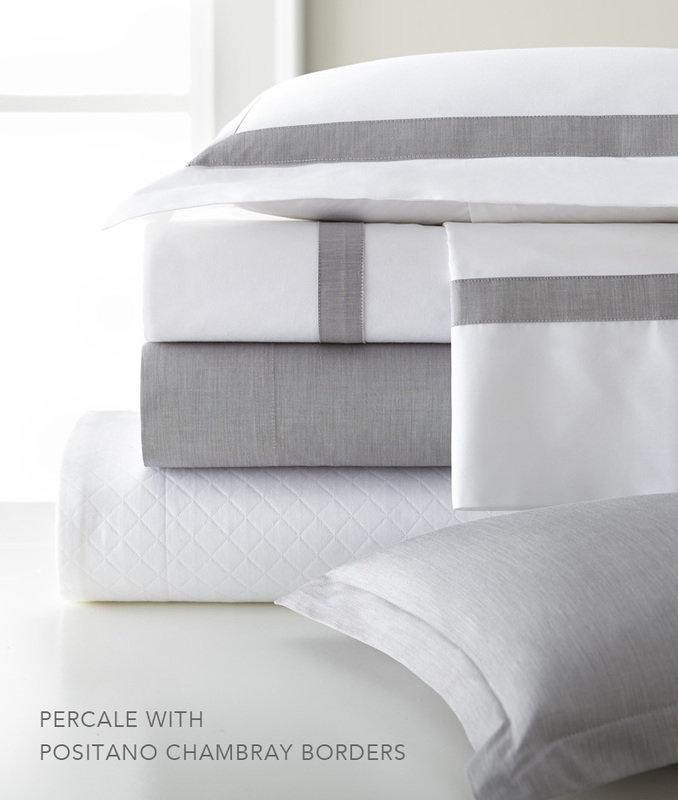 Shown in stack photos with Firenze Matelasse Coverlet.